In September 1989, I traveled to Casablanca, Morocco, and took a six-day "Imperial Cities" tour so that I would learn something more of the country before arriving in Tangier, Paul Bowles having agreed to talk with me about Tennessee Williams for an entire week if I chose. Bowles' own biography, An Invisible Spectator, by Christopher Sawyer-Lauçanno, had just been published, and I took it with me in hopes that he would sign it since he was, indeed, the subject. "Does this book have anything to do with me?" was the question he wrote on the title page, then added that the book was an unauthorized biography "perpetrated" by its author. Since my Tennessee Williams biography was already in progress and under contract with Scribner, Bowles shared graciously and generously the Tennessee he knew. From Tangier I traveled to Ravello, Italy, to interview Gore Vidal, who also had agreed to talk with me about Tennessee Williams. Before I left, Vidal urged me to postpone that biography and write about Bowles instead. Vidal was certain that Bowles would cooperate with me since he was not fond of the Sawyer-Lauçanno book. Virginia Spencer Carr, author of Paul Bowles: A Life (Scribner, 2004). Having written one biography of a deceased subject, Carson McCullers, The Lonely Hunter (Doubleday, 1975), without the cooperation of the McCullers estate, and a second biography, Dos Passos: A Life (Doubleday, 1984), with the full cooperation of John Dos Passos' widow and friends, I looked forward now to working directly with Paul Bowles, a fascinating artist and personality. Upon my return home to Atlanta, he assured me by letter that there would be no "strings of approval" attached if I were to write his biography; consequently, Scribner gave me a two-book contract to write Bowles' biography first, then Tennessee Williams'. Of course I had no idea that I would spend the next twelve years or so, along with teaching and other commitments, on this biography; or that I would make thirteen trips to Tangier and eventually read aloud to Bowles much of the biography itself, deliver his eulogy at a memorial gathering in Tangier in 1999, and assist in his burial service in New York almost a year later. I probably will never again write a biography of a living subject, but I already have the title of my next two books, Radiance: A Biography of Eudora Welty (Welty having died in 2001 at the age of ninety-two), and My Book About Me: A Memoir. I also have a novel in progress, about which I will say nothing at the moment. Meanwhile, I am enjoying immensely my retirement from Georgia State University, which commenced just a year ago. I love retirement! And yes, I may still write a biography of Tennessee Williams, but that's too far down the pike to say just when. Order your copy from Amazon.com today. Just click below. 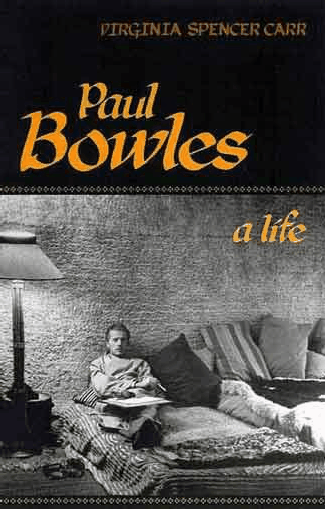 Paul Bowles: A Life was published in England by Peter Owen in August 2005. John Hopkins—author of The Tangier Diaries, 1962-1979 and All I Wanted Was Company. "Impressive and moving, a fantastic tale of focused literary and musical creation." Rex Reed—"Riveting. Paul Bowles, the man and the writer, emerges complete, with every darkness illuminated." Ned Rorem—composer, writer and the past president of the American Academy and Institute of Arts and Letters. "Paul Bowles is the most intriguing modern American male artist....By far, the most readable account. Paul Bowles lives in the pages." Fred Kaplan—author of The Singular Mark Twain; Gore Vidal: A Biography; Dickens: A Biography; and Henry James, The Imagination of Genius: A Biography. "How lucky Paul Bowles was to have such a devoted and talented friend and biographer as Virginia Spencer Carr, who now brings us the first biography of the whole life. She illumines many of the private and mysterious corners of Bowles's complicated relationships and secretive personality. She gives life and depth to the intricacies of his marriage and his affairs, to his passive individuality and his literary originality. Beyond it all, he is still an enigma, unexplainable, far from fully likable, but always fascinating in this portrait of one of our most exotically modern literary and musical geniuses." Virginia Spencer Carr was born in West Palm Beach, Florida, on July 21, 1929. 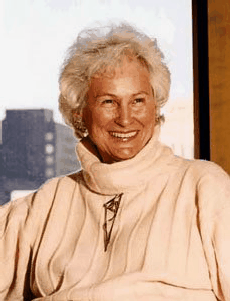 Carr received her doctorate degree from Florida State University in 1969. She was a professor of English at Columbus State University, until she accepted to chair the Department of English at Georgia State University in 1985. In 1993, Dr. Carr was named the John B. Amos and Elena Diaz Verson-Amos Distinguished Professor in English Letters, a position she held until her retirement in 2003. Virginia Spencer Carr also wrote The Lonely Hunter: A Biography of Carson McCullers (University of Georgia Press, 2003) and Dos Passos: A Life (Northwestern University Press, 2004). Dr. Carr died at her home in Lynn, Massachusetts on April 10, 2012. She was 82 years old.